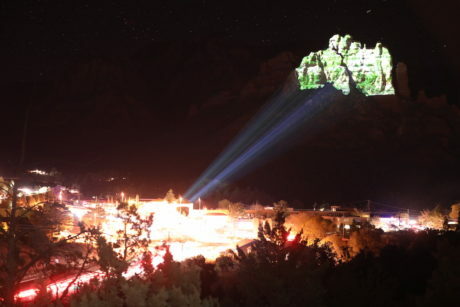 ORLANDO – For a second year LA-based PaintScaping will bring its expertise in large-scale 3D projection mapping to the Sedona Northern Lights Holiday Spectacular. 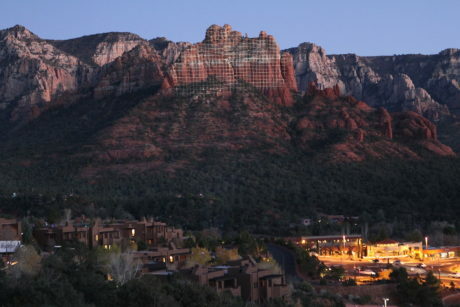 Running from December 13-16, the production is the country’s largest projection show on a natural canvas – Camelhead Rock in the famed red rocks of Sedona, Arizona. PaintScaping will create a massive 3D light projection showcasing the magical landscapes, captivating dark skies and thriving art scene of the area. The show will be staged four times each night over the four-day period. 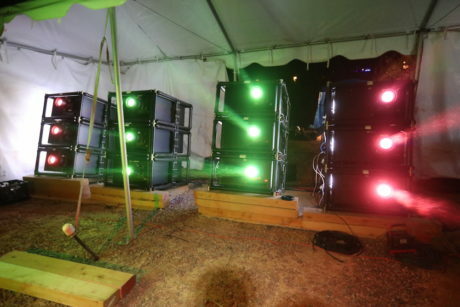 Spectators can tune to KAZM 780AM radio for music to accompany the dynamic light show. The 2018 Holiday Spectacular will feature a new story about the childhood of Sedona, the woman – and wife of the town’s first postmaster – for whom Sedona is named. In the tale the girl dreams that she visits Santa’s workshop, and spectators will see her dream played out on the side of Camelhead Rock.